Drivers are able to get same day or scheduled appointments for only $99. We talk walk-ins too! Their office located at the corner of Parker Road and Mainstreet is convenient to Parker, Castle Rock, Lone Tree, Highlands Ranch, Centennial, Englewood and South Aurora. Having affordable and fast testing is crucial to keep drivers on the road and that’s what we’ll strive to provide our clients. Commercial drivers have specific pain and strain on their skeletal system because of the hours of sitting, Hatch Chiropractic and Wellness has developed very specific chiropractic treatments to help with pain in your lower back, sciatic nerve pain,neck pain, leg pain, shoulder pain and headaches. You’ll find our chiropractors are friendly, knowledgeable and affordable. You can fill out the D.O.T. Physical Form here. 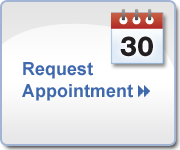 Select the button below to schedule an appointment or call us at (303) 841-7121 today!